In February of this year, Seiden & Schein’s Adam A. Levinson wrote A Detailed Summary of the New Law Requiring a Smoking Policy for New York City Residential Buildings. 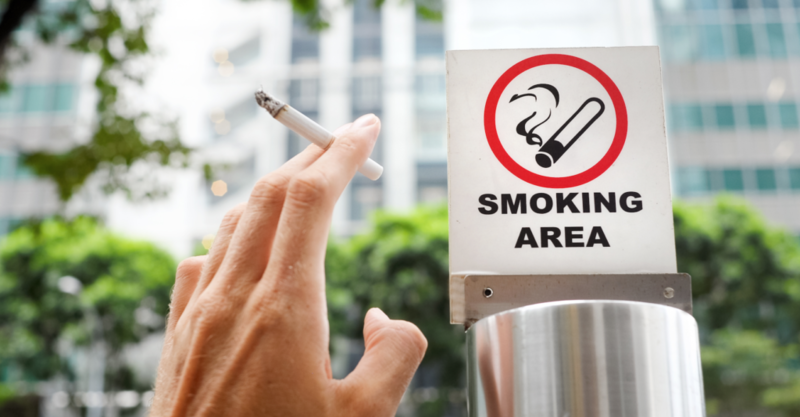 In this follow-up post, Seiden & Schein’s Hillary A. Potashnick describes the recent rules which have gone into effect governing how New York City residents are made aware of their building’s rules on smoking on the premises. New York City’s Smoke Free Air Act law already prohibits smoking or using electronic cigarettes in all indoor common areas of a building (including but not limited to lobbies, hallways, common recreational rooms, etc.). And Local Law 147 requires that the owner of each building in the City with three or more residential dwelling units (which encompass most coops and condominiums) adopt a written smoking policy that is disclosed to all residents, incorporated into all leases and into purchase agreements for condominium and cooperative units, and inserted into the building’s governing documents. The New York State Department of Law’s Real Estate Finance Bureau has issued a “guidance document” effective August 29, 2018 entitled “Disclosure Requirements Regarding Building Smoking Policies Pursuant to Local Law 147”. This policy memorandum clarifies how Local Law 147 affects disclosure requirements for sponsors of condominiums and cooperatives located in New York City with three or more residential units or apartments. As of August 29, 2018, Sponsors of condominiums and cooperatives must disclose the building’s smoking policy to prospective buyers and purchasers under contract by including same in their offering plans. Depending on where in the conversion process it is, such disclosure can be included in the offering plan prior to its acceptance for filing or in an amendment to an active offering plan. The smoking policy should be made part of the Rules and Regulations of the By-Laws, and should be synopsized in Part I of the offering plan. In addition, the Bureau requires that the smoking policy be disclosed in every purchase agreement and interim lease (via a rider or as part of the agreement itself), even if it appears in the offering plan or an amendment. Sponsors of offering plans where the first closing of a unit has not occurred must now decide on what the smoking policy for their project is going to be – but should keep in mind what the implications of that decision will be. If the offering plan has no mention of a smoking policy, but the Sponsor files an amendment disclosing a prohibition on smoking that is more restrictive than what the law requires (for example, no smoking in any apartment), such an amendment would be considered a material adverse change for existing purchasers under contract, and would trigger a right of rescission. If the offering plan has no mention of a smoking policy, but the Sponsor files an amendment disclosing a policy that is in accordance with current law (smoking is prohibited in indoor common areas but is permitted in apartments and outdoor areas), such amendment will not require an offer of rescission be made to existing purchasers under contract. And if the offering plan already has a smoking policy disclosed, then no right of rescission will need to be offered to purchasers under contract, but an amendment highlighting the policy will still be required. In all of the above instances, the smoking policy must be made a part of all purchase agreements and interim leases, either in the body of the agreement itself or by a rider. Sponsors should determine what type of smoking policy will be in effect in their building, and make every effort to avoid creating a policy that could trigger offering purchasers a right of rescission. The Board of Managers and the Board of Directors of condominiums and cooperatives that are already operational also need to assess their policies and governing documents to ensure compliance with these laws. If you have any questions regarding this new smoking policy, or any other real estate related matter, please contact Seiden & Schein, P.C. at 212.935.1400.